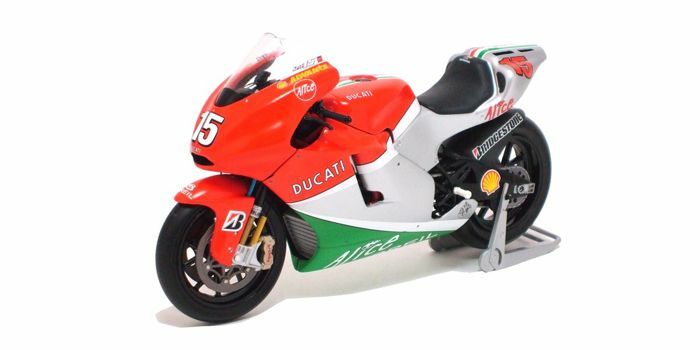 One of the sporty brands in the field of motorcycles: Ducati. 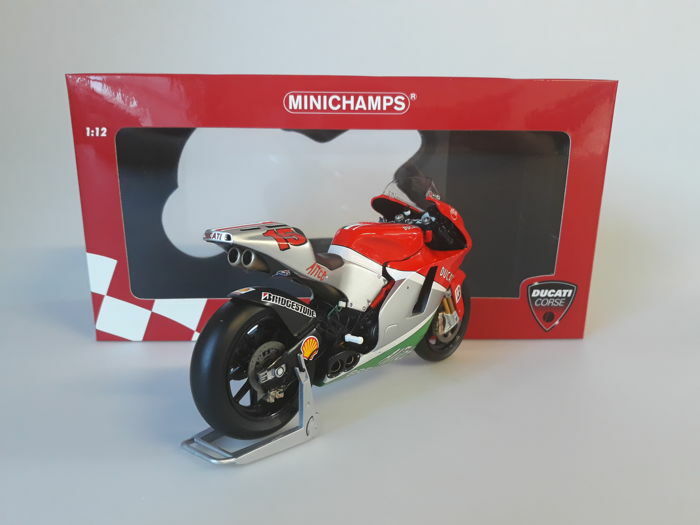 In addition to the wide selection of street models, Ducati is also known for the great successes achieved in motorcycle racing. 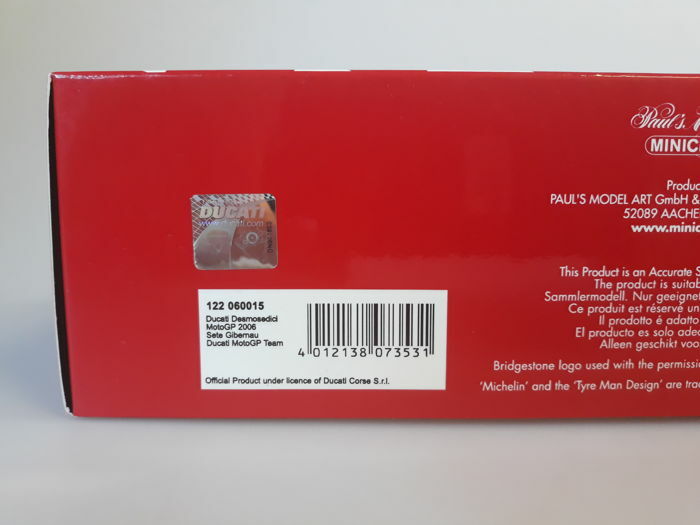 Partly because of this, the miniatures are very sought after by collectors. 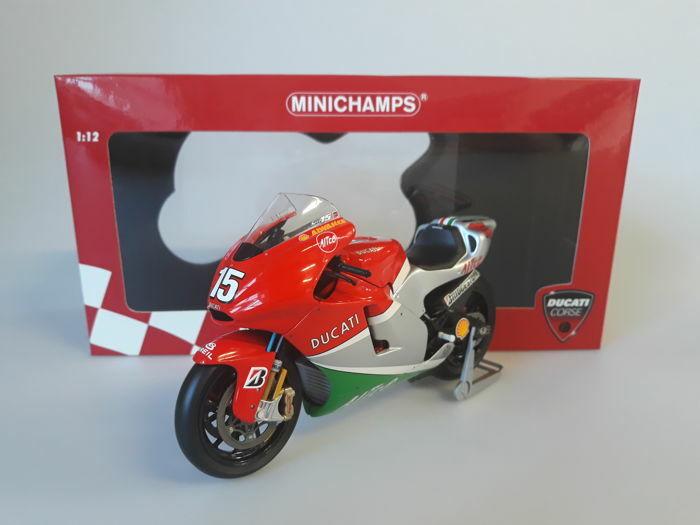 A unique opportunity to acquire a beautiful miniature from the Minichamps assortment. 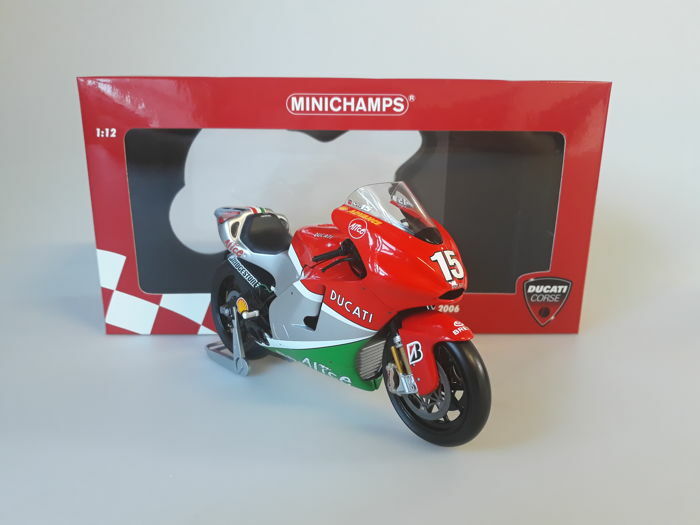 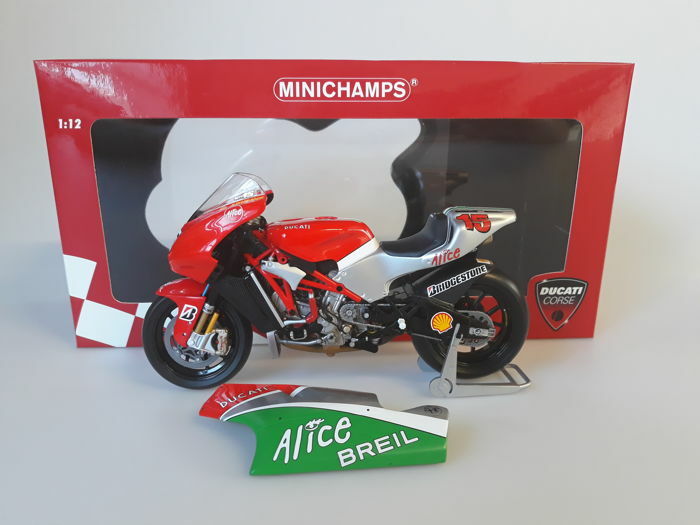 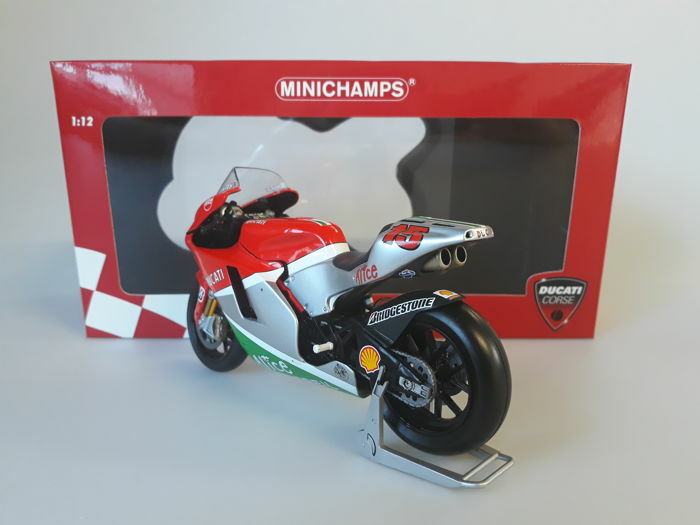 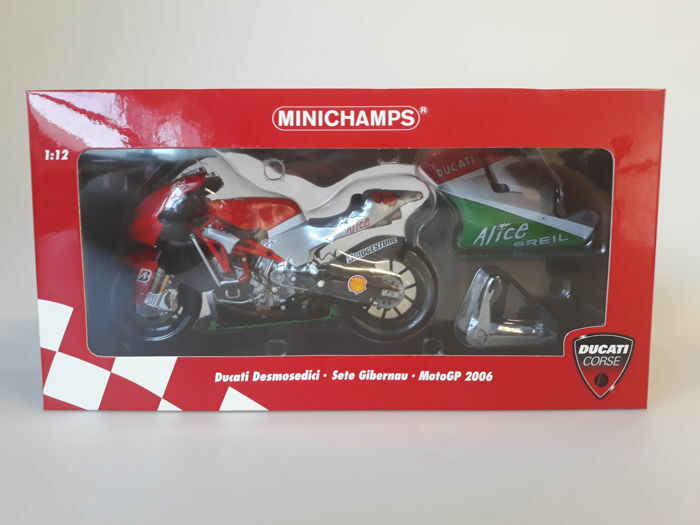 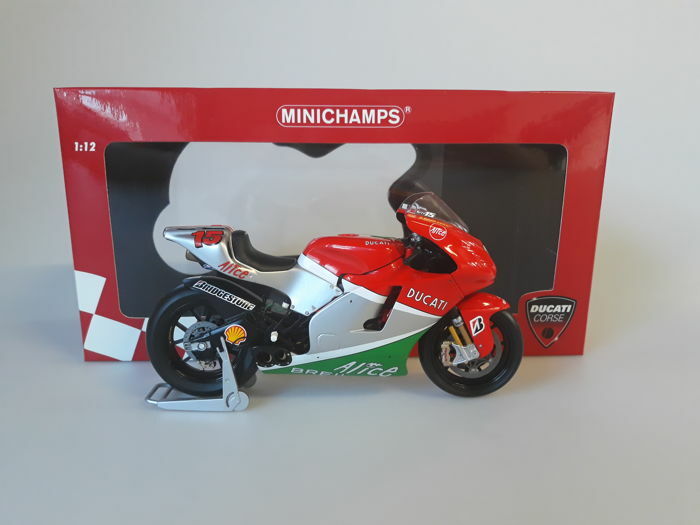 This is the Ducati Desmosedici Sete Gibernau MotoGP of the year 2006 in Scale 1:12. 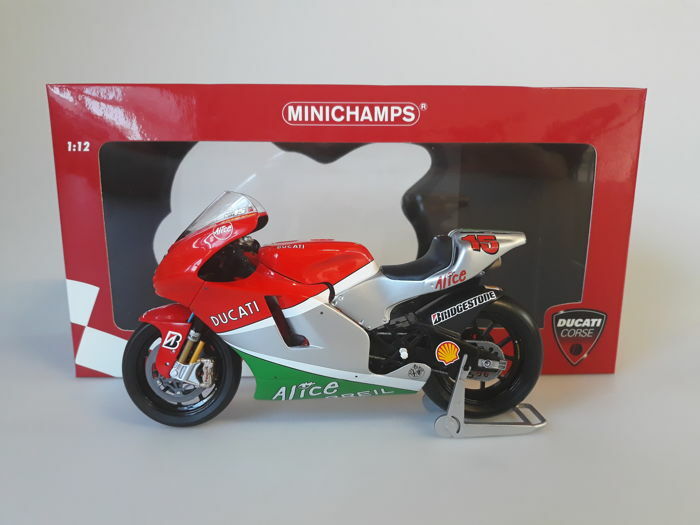 The detailing of this model is sublime.